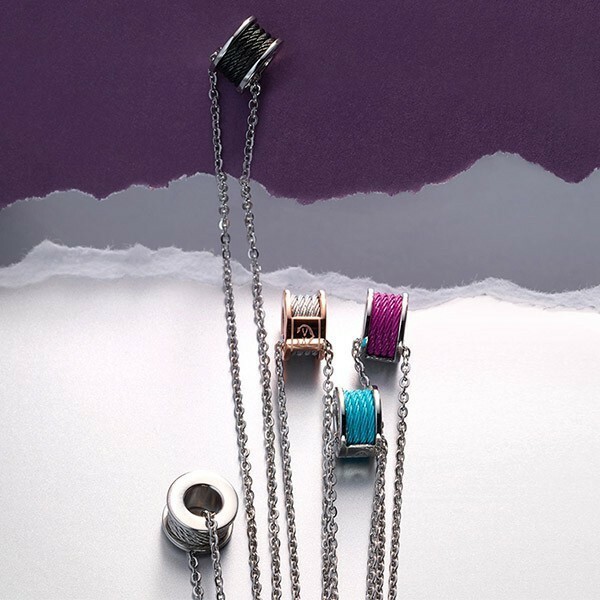 Forever Colors necklace - 45cm stainless steel chain - 1mm turquoise stainless steel cable. 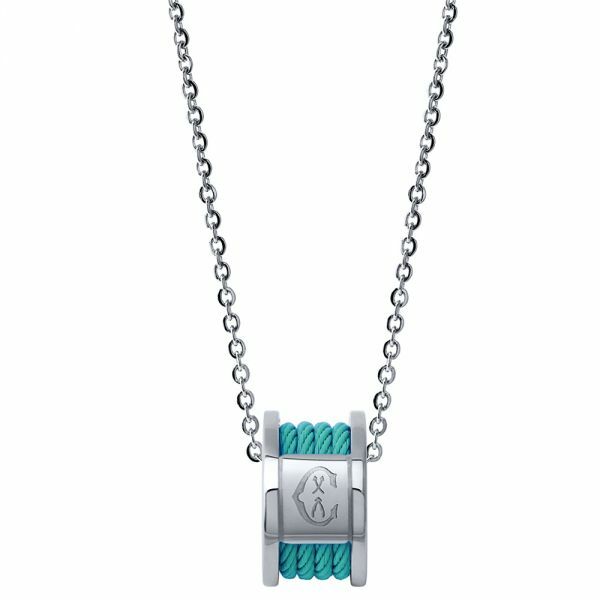 Choose a fashion-forward FOREVER with this delicate necklace with turquoise-colored cables, full of flawless finish and style. 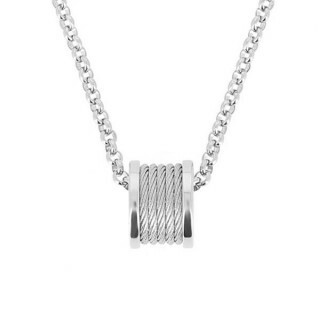 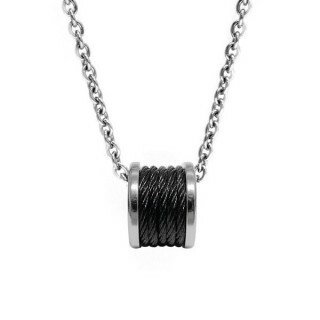 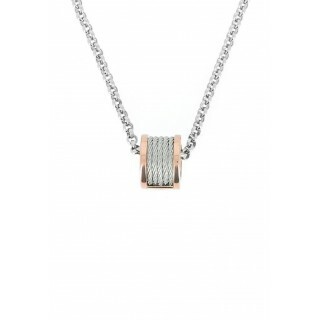 This stunning necklace from Charriol’s bestselling FOREVER collection showcases our iconic woven stainless steel cabling. 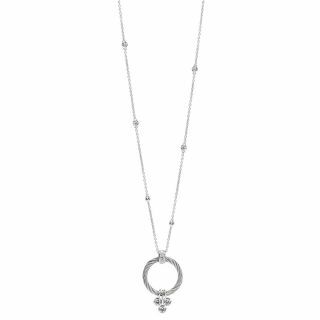 Designed to bring a touch of subtle glamour to any look, it features a barrel-shaped lozenge, inspired by the shape of a couturier’s bobbin. 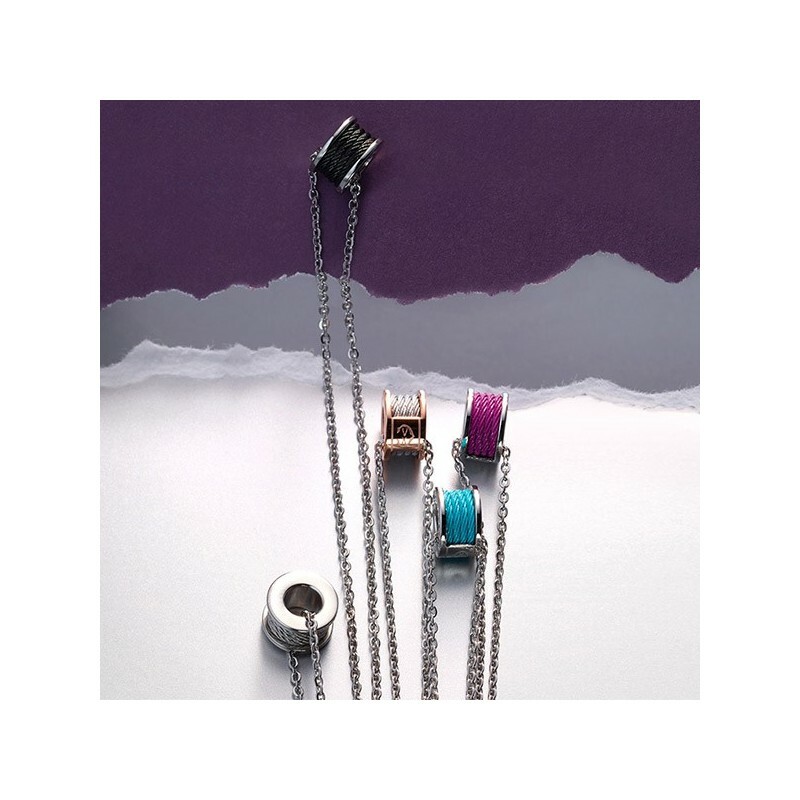 Four ultra-fine lines of our signature cable, colored in turquoise, are framed by a polished stainless steel edge and accented with the brand’s insignia. 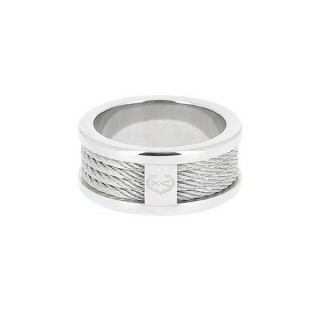 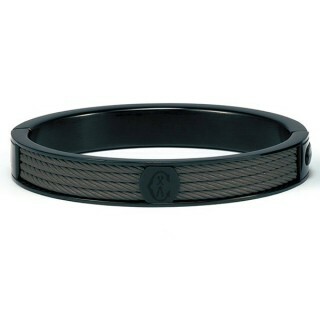 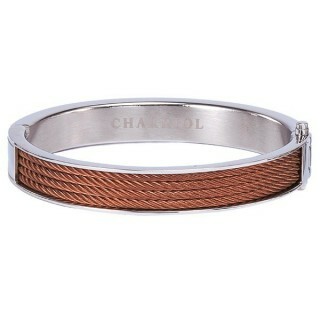 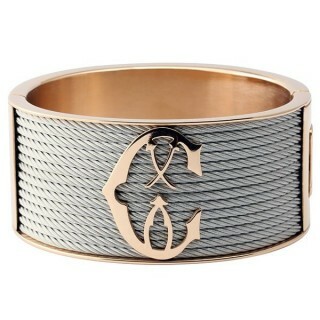 A modern Swiss-made design, epitomizing our world-renowned craftsmanship and luxurious detailing.